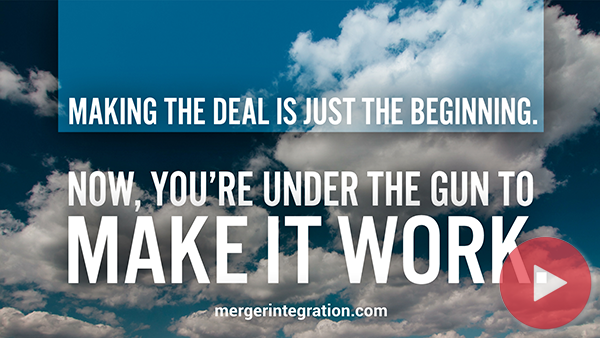 Virtually always, a merger/acquisition event starts out as a financial proposition. But once the papers have been signed, it becomes a human transaction. The way the human beings in the two companies behave will be the primary determinant of how well the financial gamble pays off. Even the most astute dealmakers need to be followed by informed, capable managers. And the less skilled the dealmakers were to begin with, the more of a burden post-merger management has to bear. That burden grows heavier and heavier as the following five types of costs accumulate. Bailing out by managers and executives is one of the first signals that a merger is being mismanaged. Typically, some of the best talent is the first to go. And their leaving more than likely means that somebody in the top ranks of the company made a mistake. There was something someone did, or didn’t do, that helped produce the bailouts.